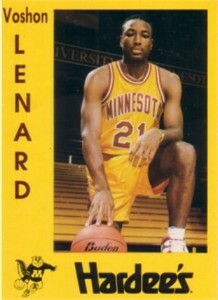 Very rare 1991-92 Minnesota Golden Gophers pre-Rookie Card of Voshon Lenard, who was a freshman. MINT. ONLY ONE AVAILABLE FOR SALE.